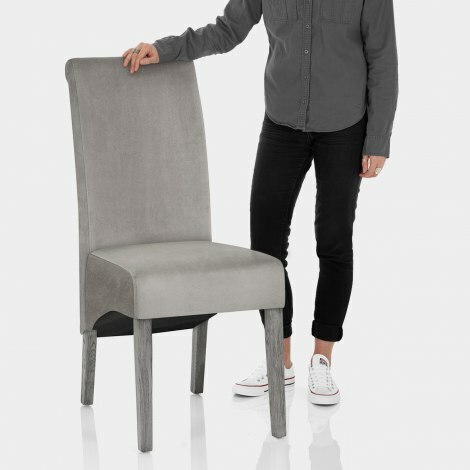 The Carlo Grey Oak Chair Grey Velvet is an unprecedented model that will create an impressive scene in your kitchen or dining area. Timeless in design yet completely on trend, the Carlo is the ideal upgrade for both modern and modest dining settings. The seat is entirely padded for your comfort and has fantastic grey velvet upholstery to add a touch of luxury to this classic piece. 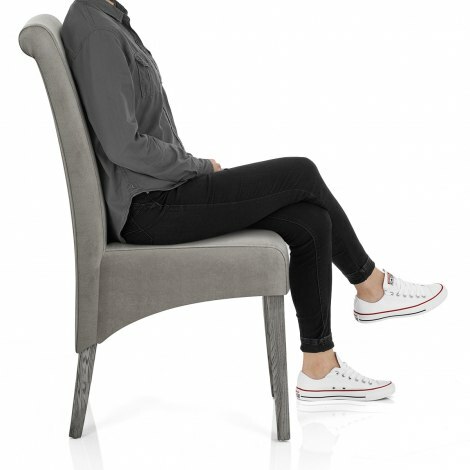 A high backrest offers superb support and extends down beyond the seat pad for an eye-catching feature. Plus, the subtle scroll top design also emphasises the traditional style of the chair. 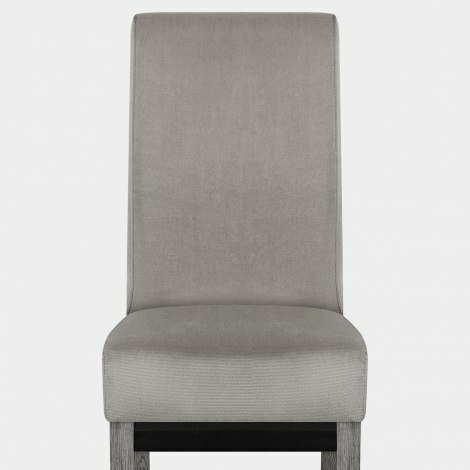 Comprised of four solid oak legs, the frame is a sturdy structure and has a stylish grey finish to match the seat. And, protective plugs are fitted to the underside of each leg to help preserve floor surfaces. "These chairs are just wonderful"
The chairs are fantastic looking and well constructed with anti scratch plastic feet already fitted to protect my tiled floor. A quality product at a bargain price. I would recommend thieve chairs to anyone as they are comfortable and set off the new dining room. Delivered promptly with tracking what more can I say, excellent. I bought 1 single chair for bedroom and with a small gorgeous cushion looks fab. I am delighted with my new dining chairs, the quality of the product, the price, the website instructions on sizing and styling together with quick delivery proves that excellent service does exist. Thank you AS I will recommend you. These chairs are just wonderful. Comfortable, look great, and delivered rapidly.